Shuaa Capital Saudi Arabia has announced the launch of its real estate investment trust (Shuaa REIT), a closed-ended publicly traded real estate investment fund, approved by the Capital Market Authority (CMA) of Saudi Arabia. The subscription period for Shuaa REIT kicked off on March 25 and will continue until April 7 inclusive, said a statement from Shuaa Capital. The fund will offer 30.5 million units to the public at a price of SR10 per unit, equivalent to SR305.2 million, which accounts for 51.5 per cent of the REIT's total size of SR591.5 million. According to Shuaa, the Fund intends to acquire six income-generating real estate assets in four key sectors and in vital areas of the city of Riyadh. Some of the key differentiating factors of Shuaa REIT are the independency of the REIT manager from all assets and property owners, alignment of interest between the investors and the REIT manager by having the management fees structured in a way whereby the bulk of the fees are based on a percentage of the rental pool generated from the underlying assets, considerably high returns for high quality assets in comparison with the competitive set of assets of the same category located in major cities around the kingdom; whereby the targeted return is approximately seven per cent per annum based on freehold ownership structures and excludes lease-interest contracts. Shuaa REIT is structured in accordance with the updated real estate investment trust regulations issued by the Capital Market Authority, which aims to increase the efficiencies of REITs by following strict principles that contribute to reducing the risks associated with it. These real estate trusts are aimed at ensuring the readiness of the assets and the solidity of the contracts from a regulatory and legal perspectives as well as the diversification of tenants, in addition to adopting the revised valuation methodologies’ that ultimately reflects the fair market price of the underlying asset by relying on the prevailing average rental prices of similar assets in the market and not relying solely on the value of the signed rental contracts. The updated regulations also include a newly introduced 12-month lock-up period for majority unitholders that begins from the start of unit trading in the Saudi stock market, which ultimately contributes to a more stable market price for the unit. 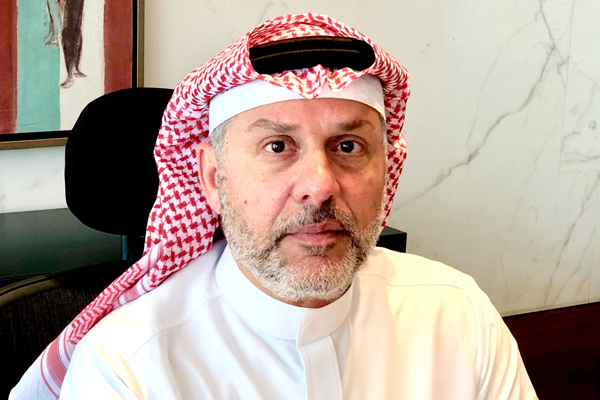 Commenting on the launch, CEO Omar Al Jaroudi said: "The launch of Shuaa REIT today is a significant milestone for Shuaa Capital Saudi Arabia. REITs are globally acknowledged as long-term real estate alternative investment instruments, geared to provide a steady stream of income through periodic distributions whilst providing liquidity through tradable units in the market, full transparency on transactions."